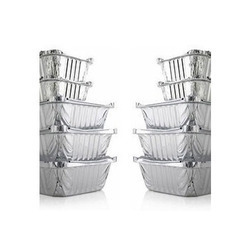 Prominent & Leading Exporter from Mumbai, we offer aluminum containers and aluminium food containers. We are a paramount organization that is engaged in wholesaling, supplying and exporting a vast array of Aluminum Containers. These soft anodized container tools are manufactured using high-quality aluminum. To meet the variegated requirements of customers; we offer our range in various sizes, patterns, and shapes at industry leading prices. 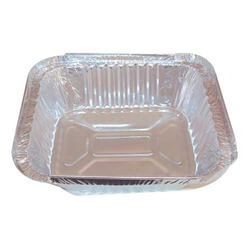 We are offering Aluminium Food Containers. It is sourced from our procuring agents from certified vendors of the market. Our vendors make use of high-quality aluminum in the manufacturing process. Further, clients can avail these containers from us in various sizes and shapes.